A vintage-inspired bedskirt coordinates with the Antique Rose quilt set. 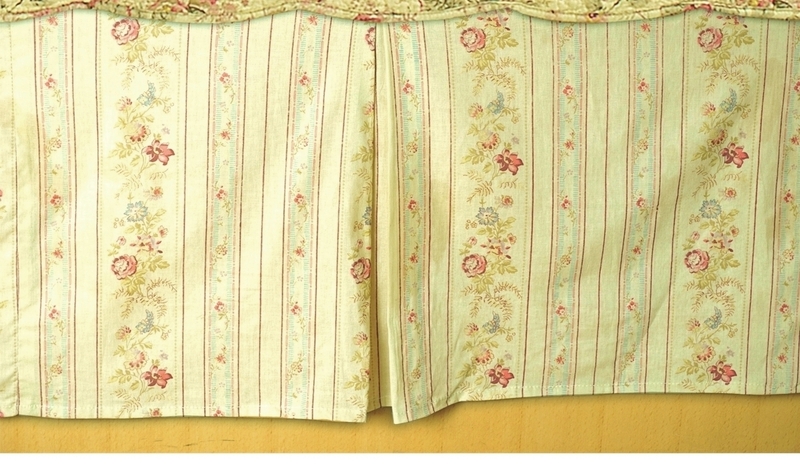 Tailored bedskirt with a 15" drop length in a traditional pin-striped floral print on an ecru background. Corners are split to accommodate bed frames.